Since I’ve gotten in the habit of curling up with a good movie (thank you Netflix and Amazon Prime) I thought I’d create a tab for my favorite Flick Picks. You can catch all my movie reviews by clicking on the Flick Pick tab at the top menu. I love watching action, drama, romantic comedies and Christian family-based movies that deliver strong impactful messages. 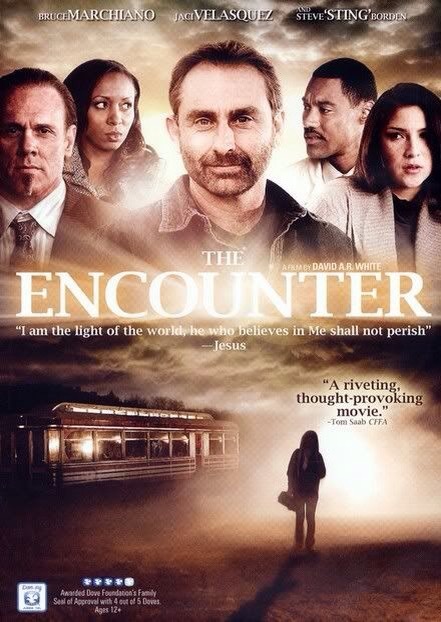 The Encounter definitely delivered a strong message. It’s a story about five strangers who are lost and become stranded at a diner in the middle of nowhere on a stormy night. A married couple on the verge of divorce, a girl hitchhiking to escape from an abusive home, a young woman who is lonely, and an arrogant businessman. Once they arrive at the diner they are greeted by the owner. What they don’t know is that they’ve come face to face with the the Lord Himself who is the only one who knows firsthand the struggles they are each facing. As he ministers to each of them, they come to the realization that they must examine the true condition of their lives. My thoughts on the movie – I loved it! It was thought provoking and inspiring. It touches on a lot of the different kinds of struggles people go through as well as the importance of forgiveness and how the Lord sees us through the many trials we face in life. It expresses the true fact that Jesus wants to save us and dwell in our hearts forever but only if we’ll accept Him. This movie is truly a must-watch and I would highly recommend it to anyone. Feel free to leave me a comment if you’ve watched it. Would love to hear your thoughts.